Our chef prepares every dish with care to make sure our customers enjoy the best dining experience possible. 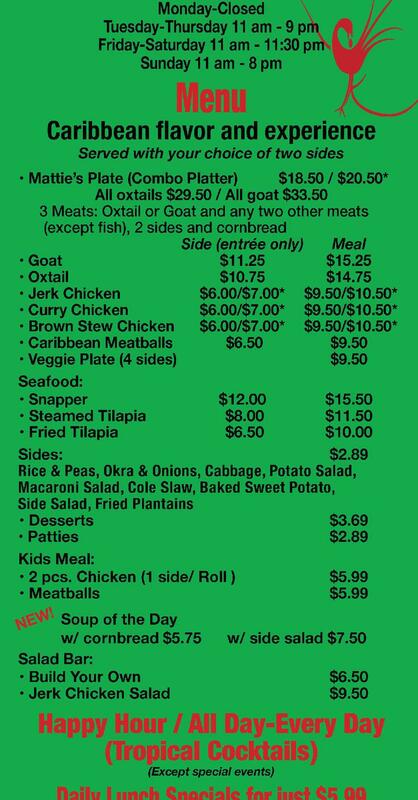 All entrees are served with two sides: rice & peas , steamed cabbage, cole slaw, potatoe salad, macaroni salad and baked sweet potatoes, steamed okra, side salad. A full bar and a variety of beverages,Jamaican and Coca-Cola products, and more!